Subscription box? Hiking gear? Mattress? These aren’t products for you. They’re for your pooch. Nowadays, there are plenty of products to get your dog’s tail wagging. We rounded up a few of the coolest (and most surprising) things you can buy for your furry friend — plus ways to save money on the newest pet trends. Not unlike Dollar Shave Club or Blue Apron, companies like Pooch Perks, PupBox and BarkBox sell subscription boxes — only they’re for your dog. Pet owners can sign up for a monthly delivery of things like treats and toys. Boxes usually run $20 to $40 each. One caveat: The items are typically a surprise until you open them. If you want to save money, wait to sign up until the subscription box company offers an incentive, like a free toy or free month. People are going outside this summer — and so are their pets. 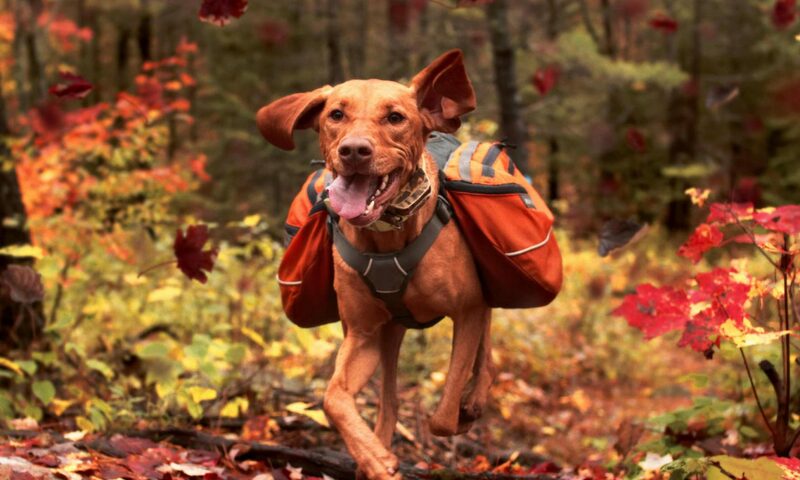 “We’re seeing an increase in the inclusion of dogs in various outdoor activities, like camping, hunting and hiking,” Paul Hunt, senior vice president for sourcing and product development at PetSmart, said in an email. Accordingly, there is plenty of pet adventure gear on the market. PetSmart carries a variety of outdoor products for dogs, including a reflective daypack with expandable pockets ($39.99), a water canteen ($19.99) and a life jacket ($14.39). Before you buy, monitor prices for a while to see if the item you want goes on sale. Additionally, join a pet store’s rewards program and sign up for the email list to receive any discount offers. Sports-inclined pups can cheer on the home team just like their owners. For example, Chewy sells a Yankees jersey for less than $20, depending on the size of the dog. The retailer also has collars and leashes adorned with MLB logos. Plus, there’s gear for other sports, such as football and basketball. These types of items are sold at various stores, so compare prices online at several retailers to see which one has the best price. After all that adventure, your pup will need to rest his weary paws. Luckily, there’s a mattress for your four-legged companion. Casper, a brand known for its human mattresses, has a dog equivalent. The Casper Dog Mattress is a dog bed that comes in three sizes and three colors. The mattress starts at $125 for the small and goes up to $225 for the large. If you have two small dogs, you could save by buying one large mattress that can accommodate them both. Whatever you decide to buy for your pup, follow these money-saving strategies to cut costs. Read customer reviews. Before you shell out money on a new trend, read reviews from fellow pet owners. These will help you decide whether the mattress, subscription box or whatever else you find is worth the price. Find a coupon. Pet stores often offer coupons, much like other retailers. Before you buy, do a Google search for the name of the store plus the word “coupon.” You may also be able to find coupon codes directly on the store’s website. Sign up for deliveries. Some recurring dog purchases, such as food and treats, can be less expensive if you order via subscription, according to Tierra Bonaldi, pet lifestyle expert for the American Pet Products Association (APPA). Retailers like Petco offer a discounted price for repeat deliveries of qualifying products. Once you figure out how quickly your dog goes through a certain product, sign up for regular shipments at a reduced price.